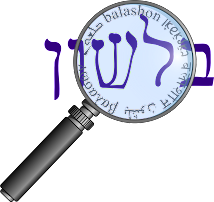 Balashon - Hebrew Language Detective: basmati? Almost back to regular posting, but I came across something that I had to ask the readers here about. Now I know that the Hindi language was influenced by Muslim rule in India, and many Arabic and Persian words entered the language. However, I cannot find any source that says that basmati was one of those words. It does seem like more than just a coincidence. Can anyone prove - or disprove - my conjecture?